Last year I shared my Gramma’s recipe for Peanut Butter cookies, and fully admitted that they are not exactly my favorite cookie of the bunch. They are usually hard and taste more flour-y than peanut buttery, but it’s just one of those family tradition “things”. Everyone in the family knows that they aren’t the best, but we make them because that’s what we are “supposed to do”. Well this year I threw caution to the wind and decided to try out a new recipe in hopes that I wouldn’t have to live with these lackluster cookies for the rest of my days, and inflict my family and loved ones with less than awesome desert choices. If I’m making cookies, I should actually want to EAT the cookies! So I thought this recipe from OutMumbered, would be a perfect change for us. 2. In a large bowl, cream together the peanut butter, butter, white sugar, and brown sugar until well blended. Beat in the egg, milk, and vanilla slowly..
3. Combine the flour, baking powder, and salt in a separate bowl. Stir into creamed mixture until combined. 4. With your hands, roll tablespoonfuls of dough into balls (or use a cookie scoop). Place 2″ apart on ungreased cookie sheets. Press each ball with fork lines to create the crisscross pattern. 5. Bake for 8 to 10 minutes or until edges are just lightly browned. Do not over bake or they will not be chewy. Cool on cookie sheet. Store in an airtight container. The results were chewy, and peanut-buttery, and delicious. Just what I wanted! 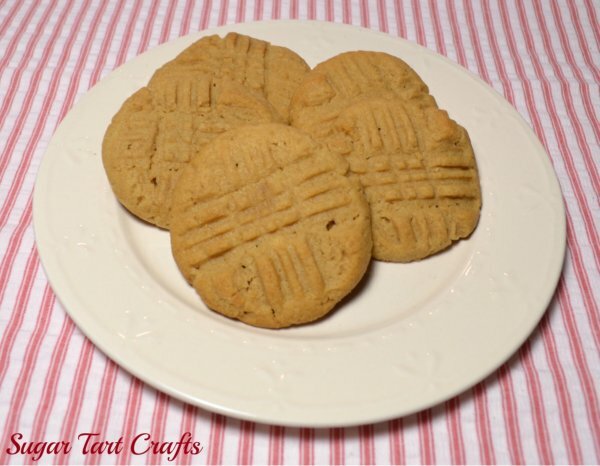 Or what I thought I wanted… Turns out I’m just not a peanut butter cookie kinda gal. It’s like my taste buds have a mind of their own, and simply reject anything that they know should be associated with chocolate! But most importantly, They passed the test with our resident peanut lovers…Anthony & my Dad. Even Gramma liked them enough to ask for the recipe. Way to go internet, changing the world one cookie at a time! and not because anyone actually likes to eat it? I love peanut butter cookies!! Pinned this to give it a try! I just made peanut butter cookies last night! I like this recipe better though, because there isn't shortening. 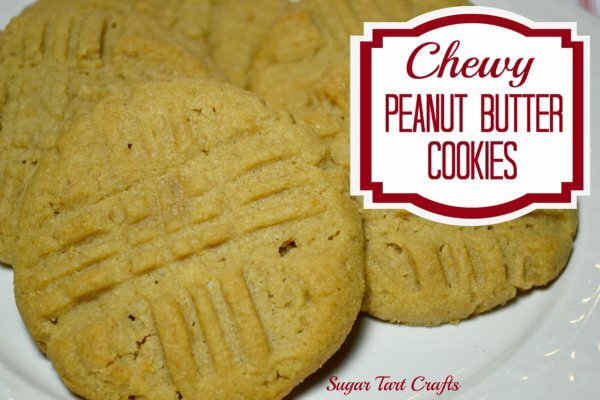 I will try this next time I have a need for Peanut Butter Cookies! Thanks for sharing! YUM! These look really good… thank you! These are the best peanut butter cookies EVER!!! I have made my share of peanut butter cookies.These have just the right amount of peanut butter and sugar . So soft and delicious 🙂 Thank you for the only peanut butter cookie I will ever make again.